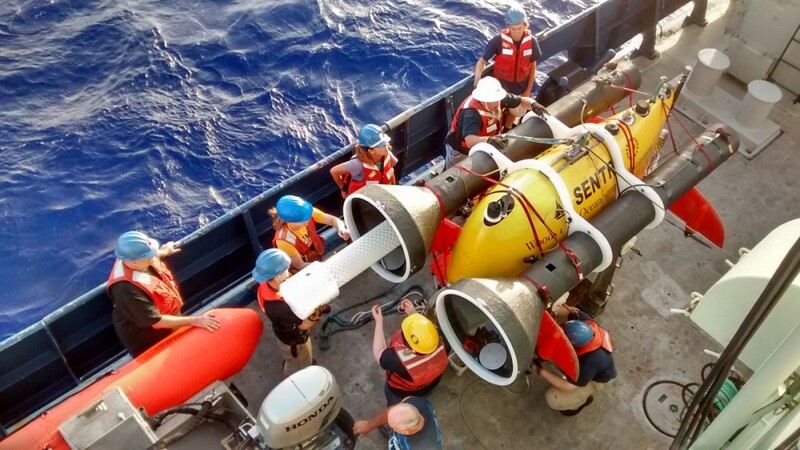 Deep-sea research by scientists of the Oregon Institute of Marine Biology was the focus of a 17-minute interview Aug. 14 on Jefferson Public Radio, an NPR affiliate in Ashland, Oregon. OIMB Director Craig Young and doctoral student Kirstin Meyer discussed the July trip to study deep-sea life along methane seeps at the bottom of the Atlantic Ocean off the U.S. coast. Meyer also provided details of her 2014 trip to even deeper depths off New Zealand in 2014. Hear Young describe how PlankZooka came into being for the Atlantic dives. He also talks of OIMB's research on deep-sea gonads and the new Marine Life Center in Charleston.